Headlight technology has evolved over the course of the automobile’s history. Tungsten filament lights were the original headlights. And then, in the 1960s, Halogen bulbs became the preferred headlight option. Fast forward to modern day, and you will find high-intensity discharge (HID) headlights. If your vehicle is older, chances are it needs a headlight upgrade. These upgrades improve how visible your vehicle is, especially at night. And, more importantly, they also improve your own visibility while driving. Many drivers suffer from poor night vision, which makes them afraid to drive once the sun starts to set. But you can improve your vision with new HID headlights, driving with confidence at any time of day. If you’re interested in upgrading with headlight kits, here’s what you need to know before you start. Auto manufacturers align headlights on vehicles to the left or right. The alignment direction depends on which side of the road the vehicles will drive on. For cars in left-lane driving countries, the alignment is to the left. Low-beam headlights face down and to the left. This lighting allows drivers to still read road signs without blinding oncoming drivers. So, for countries that drive on the right side of the road, the headlights face down and to the right. But some cars have switches to change the direction of the headlights. These switch lighting from right-hand drive (RHD) to left-hand drive (LHD). Headlights can adjust to changes in the vehicle’s height so as not to blind oncoming drivers. This is especially useful in trucks since the headlights are higher. The headlights will dip down to avoid hitting drivers’ eyes. They adjust if there is a change in the weight of the vehicle. And also when the vehicle accelerates and decelerates. Regulation stamps determine if the headlights meet country-specific regulations. These safety regulations include light intensity and glare. ECE stamps certify headlamps for Europe. They also apply to most industrialized countries outside of the European Union. SAE stamps certify American safety standards. Canadian cars may have either ECE or SAE stamps. Refer to your provincial ministry of transportation regulations to verify. And speak with an auto expert to make sure your new headlights meet regional regulations. The number of lumens (lm) of a headlamp refers to the measurement of light output. For example, light output could range from 2100 lm to 3400 lm. The light from these headlights projects outward. Since the light housing emits the beams, the light tends to be easier to control. With these headlamps, the light from a bulb reflects off the sides of the housing. These headlamps can spread out light on the road from smaller bulbs. If you have reflector headlamps and want to switch to HID, you should leave this upgrade to the pros. Amateur installation can lead to distorted light since HID lights project beams. It can also lead to failing safety tests. Halogen lights are glass tubes filled with argon and nitrogen gas. These bulbs also have a tungsten filament. The electrical current from a car will heat the tungsten, which in turn, will create light with the gases. Halogen bulbs have been the most popular type of lighting for cars since the 1960s. But, they are dim compared to newer lighting types. Halogen headlights produce 1300 lm, whereas HID lights produce around 3000 lm. Halogen lights are also not energy efficient and are very sensitive to several substances. For example, the oil from a person’s hand will reduce the lifespan of the bulb. Also known as Xenon headlights, BMW started using HID lights in the 1990s. And they have gained popularity amongst car manufacturers ever since. The lights contain gases and rare metals that emit a bright white glow with a blue hue. This bright type of illumination has become standard for new cars. The brightness is now a part of updated safety regulations. These lights are up to three times brighter than Halogen lights. This gives drivers clear visibility of the road. This visibility allows for an improved reaction time to obstacles, especially at night. HID headlights are also more energy efficient than halogen lights. Xenon lights use about 35 watts and place less of a demand on the vehicle’s alternator. Their lifespan is about 2000 hours. Xenon lights are generally more expensive than Halogen. But the cost of these lights has decreased over the years. Remember: HID headlights installed on reflector headlamps will emit a bright, unfocused light. The beam becomes too high and wide, and poses a safety risk to other drivers. The wiring might also need modification for the HID lights to work well switching from high to low beams. So when opting for this upgrade, choose a professional retrofit. For projector headlights, the projector lens and tube may not fit HID bulbs. So you might need modifications when upgrading. Professional headlamp installers can do this work for you. Most car models only use Xenon lights for the low beams and Halogen for the high beams. This is because Xenon lights are slower to turn on and off. Bi-Xenon headlights use only Xenon lighting and create low and high beams by moving a shutter up and down. Bi-Xenon lights also only use two bulbs, whereas traditional Xenon headlamps use four. To improve the intensity of your headlights, also consider restoring the headlamp lenses. This restoration is helpful if your car is several years old. Over time, these plastic lenses become cloudy, dulling the intensity of the light. But a restoration kit can remove the cloudy outer layer and polish the lens. The lenses will become clear so your headlights will shine brighter. 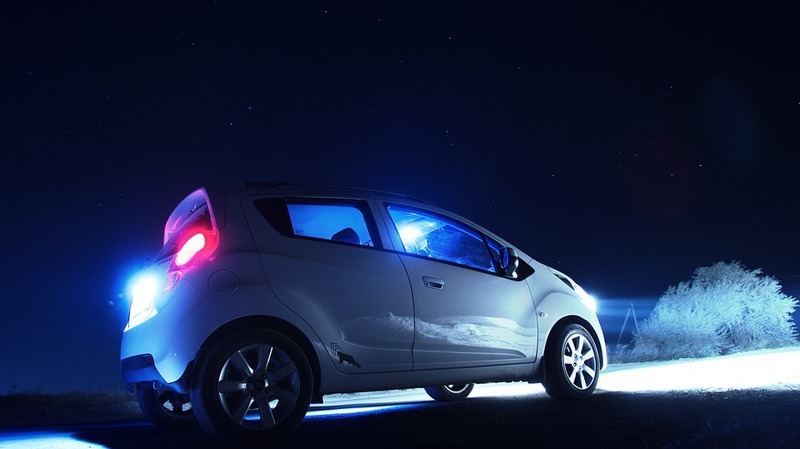 To improve your visibility on the road, consider upgrading to Xenon headlights. New headlights will make driving easier and safer, so you can drive comfortably day or night.